February is going to be such a hard month for us. Manny left today for a 2 week underay period for the Navy. He will be back for about 5 days and then will leave for another 2 weeks. 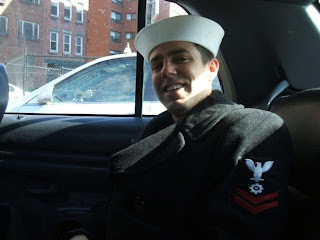 Luckily, we only have these 2 underway periods before he seperates from the Navy! We are both very excited for that day to come. We should also hear about grad school by the end of this month so we are keeping our fingers crossed that we hare good news!